The following is a sponsored conversation written my me on behalf of Giving Assistant, however all opinions are my own and are based on my own real experiences. Recently, the folks at Giving Assistant reached out to me, because they believed that their site was something that my readers would be interested in. After checking it out, I can answer that with an emphatic “YOU BETCHA” (pardon me, my Minnesotan side is showing). 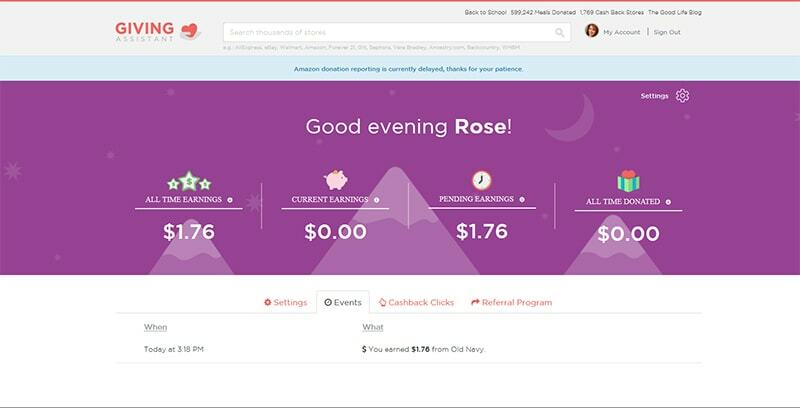 So like many cash back rewards programs, Giving Assistant pays you cash back for purchases you make every day. UNLIKE many cash back rewards programs, Giving Assistant allows you to conveniently donate those earnings to any charity you choose. Now, no judgement here. If you choose to, you can also be paid via Paypal weekly or quarterly mailed check once you reach the low $5 minimum. 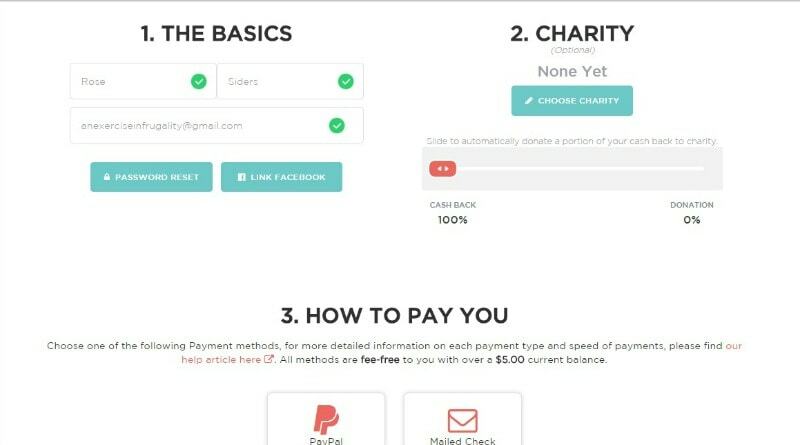 You can decide to donate all or a portion of your savings to charity. This is a great option for those of us on tight budgets who may not otherwise have a lot of extra cash to make donations but still want to help a great cause. It’s incredibly simple to use. Just register for an account, search for one of their nearly 1800 cash back partners, and shop! I did a little shopping at Old Navy to check it out for myself. There’s TONS of retailers to choose from like Target, Amazon and Walmart. 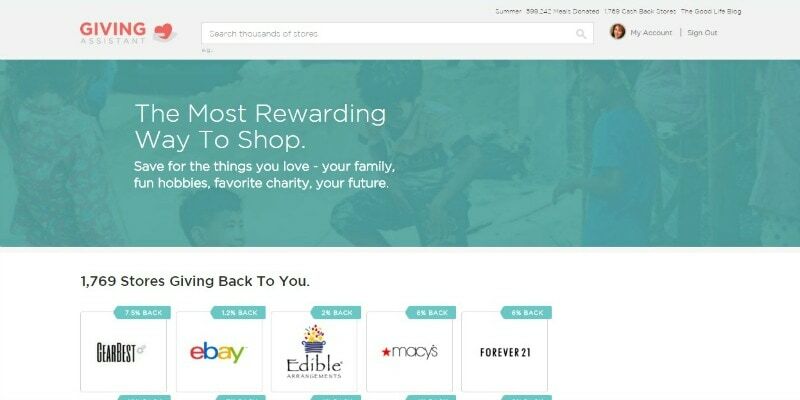 You can get cash back for shopping at all your favorite online stores! 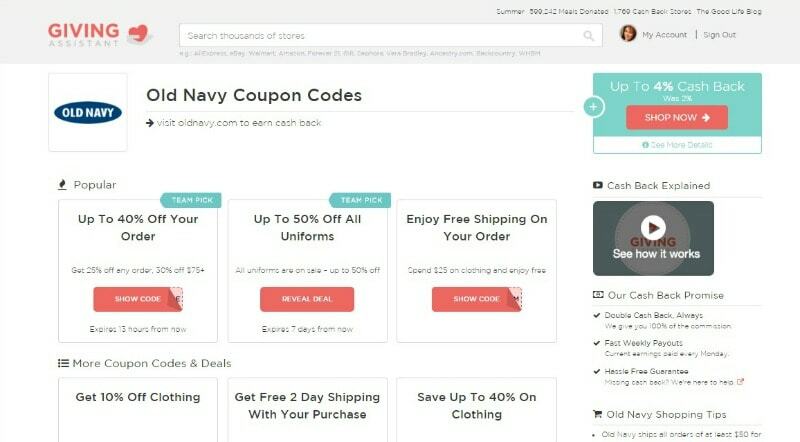 One of the best parts about Giving Assistant (aside from the cash back of course) is that they have a list of available coupons for each site! I was able to save with free shipping AND get 25% off my order with these coupons I wouldn’t have otherwise known about. PLUS I get cash back later. Score! I love using Giving Assistant now because its so simple to use and they partner with so many different retailers. It’s that easy, then you just sit back and wait for the cash back to be credited to your account. I got my cash back within a few hours of my purchase! 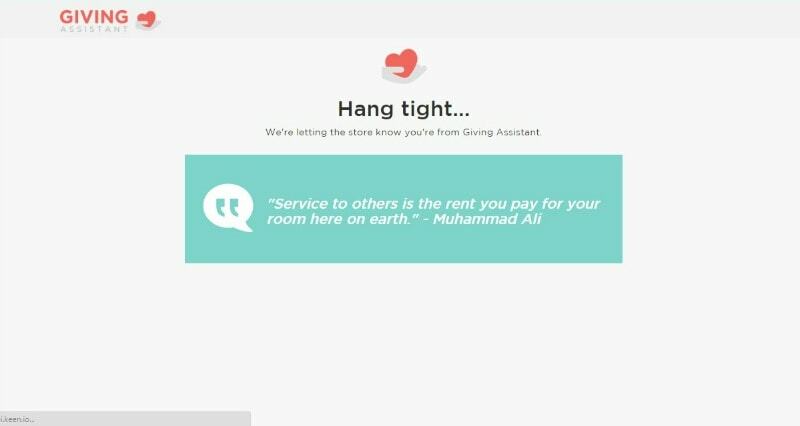 What do you think of getting cash back with Giving Assistant?